When in the summer of 2011 US President Barack Obama demanded that Syrian President Bashar al-Assad step down, it was not the first time Washington had sought regime change in Damascus. The United States had waged a long war against Syria from the very moment the country’s fiercely independent Arab nationalist movement came to power in 1963. Assad, and his father Hafez al-Assad, an “Arab communist” in the view of hardliners in Washington, were committed to independence, both for Syria and the larger Arab world. Washington sought to purge Arab nationalist influence from the Syrian state and the Arab world more broadly. It was a threat to Washington’s agenda of establishing global primacy and promoting business-friendly investment climates for US banks, investors and corporations. Arab nationalists aspired to unify the world’s 400 million Arabs into a single super-state, strong enough, wealthy enough, and large enough to allow Arabs to chart their own course, in politics, economics, and diplomacy, free from the interference of foreign powers. Washington had also waged long wars on the other leaders of the Arab nationalist movement, including Egypt’s Gamal Abdel Nasser, Iraq’s Saddam Hussein, and Libya’s Muammar Gaddafi, often allying, as in its war on Syria, with political Islam. By 2012, only one pan-Arabist state remained in the region—the self-proclaimed Den of Arabism, Syria. 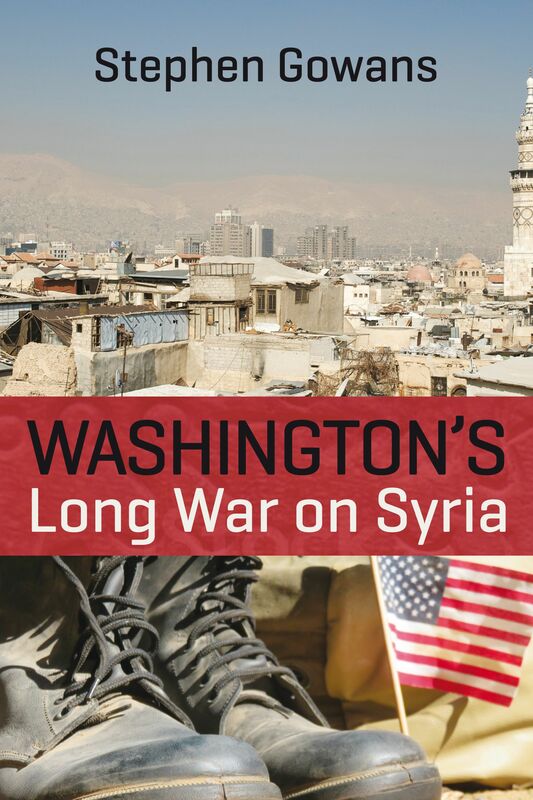 In Washington’s Long War on Syria, Stephen Gowans examines the decades-long struggle of Ba’ath Arab Socialists, political Islamists, and US imperialists for control of Syria, the last redoubt of secular Arab nationalism.